The Burleigh Brewery Company (17A Ern Harley Drive, Burleigh Heads) is a microbrewery located in Burleigh Heads that has been brewing boutique varieties of beer since 2006. If you love Burleigh Brewery Company's Fresh Duke Beer, or if you've ever wanted to get inside a brewery, here's your chance. The Brewery Lounge is open on the first weekend of every month for tours, tastings and the famous Brew House Bash. The Brew House Bash takes place on the first Friday of every month and is open to anyone who enjoys beer, German sausage and live entertainment (all proceeds from the barbeque are donated to charity and local community groups). The Bash takes placed from 5.00pm until 8.30pm. If a Christmas party in a brewery sounds like your idea of heaven, be sure to join the Christmas Bash on Friday, 3 December from 5.00pm until 8.30pm. Entry is free and a BBQ dinner will set you back $5. Children are welcome if supervised by a responsible adult. 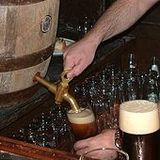 The Brewery Lounge is also open on the first Saturday of the month, from 2.00pm until 4.00pm. Patrons can enjoy a beer or a Daisy Duke (a virgin beer flavoured with mango, blackcurrent or giner), or can participate in the Tanks, Tales and Tastings Tour session. The tours provide up an up close and personal encounter with the brewery. Guests are encouraged to become the brewer for the day and examine the machinery, peer into the tanks and climb the steps to the brewers platform. You will also spend 45 minutes with a brewmaster who will provide esoteric insights into the world of brewing. At the end of the tour (and this is the part you've been waiting for), each participant will receive a free 200 milimetre glass of each of the brewery's three different beers. As if that isn't good enough, you don't even have to hide the glass in your pocket at the end of the day - a Burleigh Brewery Company logo glass is a complimentary gift to all tour participants. The Tanks, Tales and Tasting Tours start at 2.00pm and lasts between 45 minutes and an hour. The cost is $20 per person and closed in shoes must be worn. To book, visit the website. The Brewery is also available for function hire and provides food and beer packages for parties and events - or, if you'd like to be wife of the year, weddings. So if you're a beer connoisseur and have a spare Friday night or Saturday to spare, consider the Burleigh Brewery Company for fresh, boutique beers and an interesting look at the world of brewing.